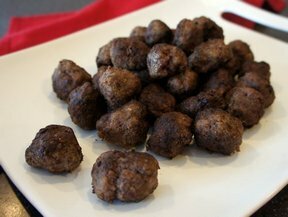 In medium bowl combine ground beef, eggs and bread crumbs; shape into 24 meatballs. Brown meatballs and drain on paper towel. In saucepan bring spaghetti sauce to a boil; gently drop in meatballs. 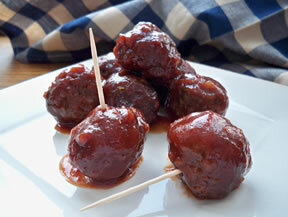 Reduce heat to low and simmer covered until meatballs are done. 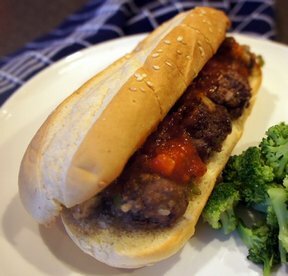 Place meatballs and sauce to each sub roll, top with cheese, if desired. "Just what I needed for a quick meal. I took the tip and used the frozen meatballs. Never as good as making your own but did the trick."